What to do with the Kids this President's Day? 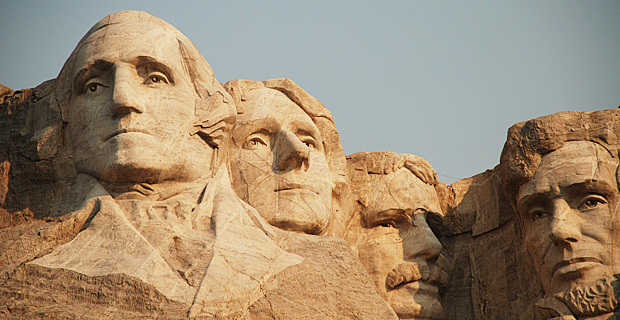 Did you know that President’s Day is celebrated on the third Monday in February? This patriotic holiday will be recognized on February 19, 2018. George Washington and Abraham Lincoln are the two most famous presidents but this day honors all past and present U.S. Presidents. There have been 45 presidents so far. These celebrations will bring you from the crossing of the Delaware River where Washington defeated the British in the two battles of Trenton and Princeton, and then retook New Jersey, to the battlegrounds and historic villages. Don’t miss these unique and educational experiences, great for the entire family! Please check for times and fees. Showcasing new exhibits. Interactive activities for children, videos, artifacts and more! Ford Mansion and Washington’s Headquarters will be open for visiting. Learn about George Washington and the Continental Army’s winter encampment. Family friendly programs and activities at The National Constitutional Center: arts, crafts, games and shows. Kids will learn about the role of the president and what the job involves. Visit Kids Town Hall and meet Presidents Jefferson, Lincoln and Roosevelt. Join in a Presidential Costume Contest. Help celebrate George Washington’s 286th birthday. Children’s activities in park buildings and visitors center. Make birthday cards. Visitors will sing Happy Birthday and enjoy a cake cutting at 1PM. Good Washington birthday family event with live music in the parlor, FAQ’S about first president, history of gingerbread and baking demonstration, colonial toys and games, quill pen writing, wood shop open. Donations appreciated. Look for science at Kids Week! Discover how science intersects with art, sports, games and nature with fun-filled activities, performances and visits from special guests all week long. For curious kids of all ages and interests. Day-long New Brunswick festival with nonstop activity, fun for the whole family! Enjoy performances, workshops, hands on activities, costumed characters, face painting, balloon animals, games, a photo booth and more! Birthplace of American Government. George Washington took the oath of office as the first president here. Participate in the Junior Ranger program and learn fascinating facts about Federal Hall. Family activity: Self-guided tours of Grover Cleveland’s historic house museum. A must see for kids. Check out wax figures of some popular U.S. Presidents. Guided tour of this historic house - it served as Washington’s final Revolutionary War headquarters for over two and one-half months in 1783. Donations appreciated. Please call to confirm times. Kids of all ages should stop by this Hall and learn how the 26th President of the United States became a conservationist. He was passionate about the American wilderness. Great educational experience for the whole family. 500 Acres of American History. Site on the PA side where Washington crossed the Delaware River and turned the tide of the Revolutionary War. Guided and self-guided tours of the grounds. Cool for kids to visit. Site where George Washington crossed the Delaware River during the American Revolution’s “The Ten Crucial Days” military campaign. Watch a short video at the Visitors Center. Walk the same trail as the Continental Army.